These books are sure to get you in a romantic mood! 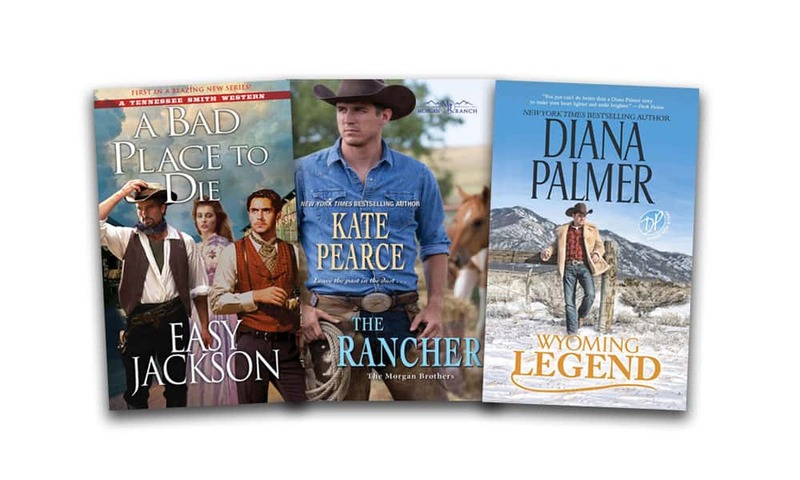 There aren’t many options for an eighteen-year-old girl in the Old West. Especially an orphan like Tennessee Smith. She can either sell her body in a seedy saloon or take her chances as a mail-order bride. Tennie chooses the latter. Joining a wagonload of women across Indian territory, she arrives in the God-forsaken town of Ring Bit, Texas. Her husband-to-be is surprisingly decent. But after tying the knot in a quickie ceremony, he pops even more surprises on her. Now that she’s completed her engineering degree, Rachel Ford Morgan is trying to find her footing around her birth father and her four brothers. She gets a chance to prove herself when she discovers worrisome fault lines around an abandoned silver mine. But they’re nothing compared to the cowboy who seems determined to shake up her world.